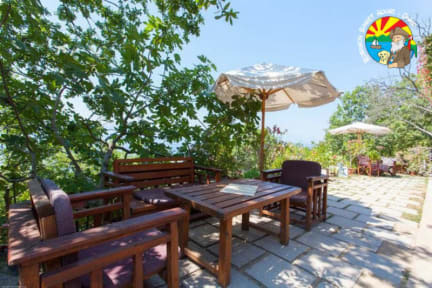 Robinson Sunset House i Ohrid, Makedonia: Bestill nå! We are inviting you to visit our house, a place where you can enjoy fresh air and a wonderful view. 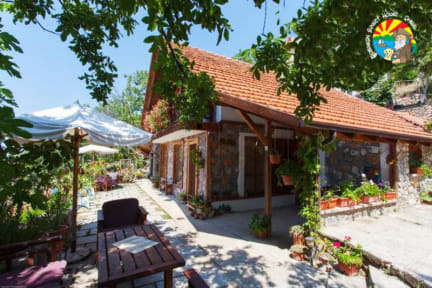 The House has a beautiful yard (1500 square meters) including children playground and parking. Small boat, canoe, surfing board and bikes are available for the guests. Robinson Sunset House offers: 5 two bed rooms equipped with bathrooms, TV and fridge and 2 dorm rooms.